Meeting your favourite heroes can be an overwhelming experience. Just ask little Quincy! 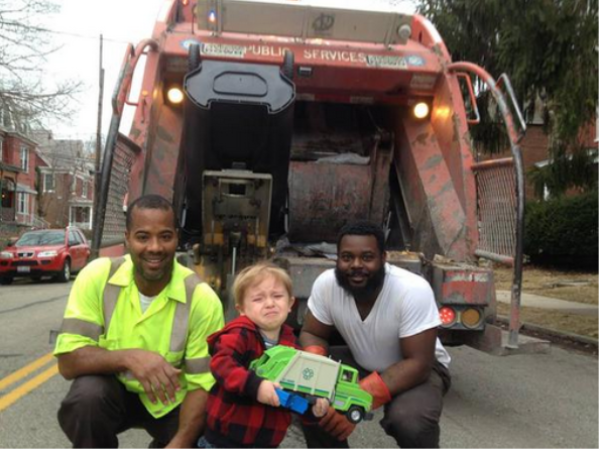 An image showing little Quincy posing with two garbage collectors that work on his street has triggered the internet’s ‘aww meter’. Apparently he wanted to show his garbage truck toy to his heroes. In no time, the little boy was so overwrought nothing could stop the tears.